Treat the kids this long weekend with a trip to the Toronto Zoo. In addition to admiring animals from around the world, including a brand new baby polar bear named Hudson, kids can take part in the annual Easter Egg-Stravaganza, which offers a lineup of fun activities as well as the Beary-Bunny Easter Parade at noon and 2 p.m. Hilarious comedy troupe The National Theatre of the World brings back its side-splitting Carnegie Hall Show to The Second City. The award-winning improv production features four of Toronto’s best comics acting out scenes based on mundane everyday activities. Also enjoy special performances of dance, Burlesque and even acrobatics. Calling all music lovers! Grammy-nominated British duo The Ting Tings are set to rock the Phoenix Concert Theatre tonight, in promotion of their latest album, Sounds from Nowheresville. Perhaps you’ve heard of their hit, “Shut Up and Let Me Go”? There are more than 100 colourful works to view in Marlis Saunders’ exhibition, entitled Stop, Drop, Repeat, at the Design Exchange. The German-Canadian artist is recognized as a pioneer of the Bauhaus school, and her patterned works are exemplars of that style. A response to the classic play A Raisin in the Sun, Clybourne Park is a story of race and real estate set in a Chicago neighbourhood and spanning two generations. The dark comedy starts out in 1959, as a black family looks to move into an all-white neighbourhood, then fast-forwards to 2009, when a white family moves into the same house in what has become an all-black area. Enjoy homegrown drama as renowned Canadian playwright Daniel MacIvor brings Was Spring to the Tarragon Theatre. It’s a story of three generations of women who confront each other about a tragic event from their past. The latest production in Harbourfront Centre’s popular World Stage series, Ajax & Little Iliad sets out to define the “theatre of war” for civilian audiences. Only 30 seats are available for each performance of this intimate show; each audience member listens through a pair of headphones for a truly personal experience. The end is near! The end of the Royal Ontario Museum’s Maya exhibition, that is. After calling the institution home for the past four months, the Maya: Secrets of Their Ancient World mega-show moves on Monday. Take advantage of your last chance to discover priceless Mayan artifacts, learn about their sophisticated rituals and explore the mysterious end-of-days legend. And if you don’t feel like venturing into the kitchen this Easter weekend, Toronto has plenty o’ places that’ll do the work for you, especially for that most comforting of meals—brunch. Check out some of the restaurants offering a holiday-Sunday repast here. ON NOW It’s time to face the truth. Well, sort of. The Second City dishes out its own skewed view of reality in its latest show, Dreams Really Do Come True (and Other Lies). Toronto’s funniest band of misfits exposes the absurdities of the lies we tell ourselves in a variety of sketches, improvisations and songs. Think of it as comic relief—just in case our dreams do not, in fact, work out. Wednesday to Friday 8 p.m., Saturday 8 and 10:30 p.m., Sunday 7 p.m., $24 to $29; call 416-343-0011 or check here to buy. Artists, designers and shoppers unite! The always anticipated One of a Kind Spring Show has begun, and runs through to this Sunday at Exhibition Place’s Direct Energy Centre. Here, 450 artisans offer unique, handmade art, clothing, accessories and designs for purchase. This year, the show features a Muskoka Artists Marketplace as well as workshops and seminars on home design. In the same vein, the International Home & Garden Show also takes place this weekend at the International Centre, just west of Toronto. Hundreds of home experts, interior designers and landscaping professionals will be on hand for consultation, offering thousands of products and ideas to help freshen up your home this spring. A new Major League Baseball season begins tonight as the Toronto Blue Jays go to bat against Minnesota Twins. The game at the Rogers Centre is officially sold out (yes, all 50,000 seats), but you can catch the game with the locals at Real Sports Bar & Grill or Wayne Gretzky’s. Catch Toronto FC in the second game of its fledgling Major League Soccer season, as the boys in red square off against Chivas USA from Carson, California. The match starts at 1 p.m. at BMO Field, just steps from the popular Liberty Village neighbourhood. Before the game, fill up on some comforting brunch dishes at School Bakery & Café or Mildred’s Temple Kitchen. The St. Lawrence Centre for the Arts offers two chances (at 2 and 8 p.m.) to hear A Little Nightmare Music, with classical musicians and YouTube sensations Aleksey Igudesman and Hyung-ki Joo. The duo has taken the world by storm with their unique and hilarious theatrical show that combines classical music with popular culture. On Saturday evening, Rock and Roll Hall of Famers Rod Stewart and Stevie Nicks bring their Heart & Soul Tour to the Air Canada Centre. A “can’t-miss” concert event, the distinctive singers are slated to perform hits from their catalogs, as well as some duets. History is made fun at Fork York National Historic Site, in the heart of downtown Toronto. 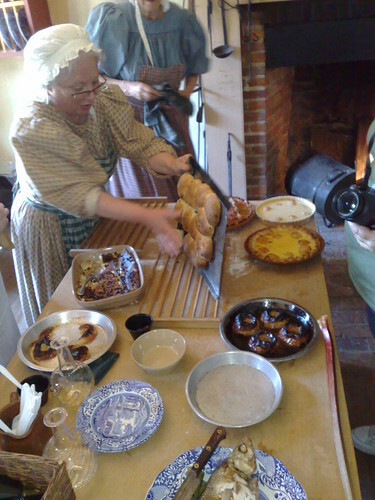 The heritage site hosts a Historical Food Tasting and Tea experience from 1 to 3 p.m., including samples of old-fashioned food recipes from the fort’s restored 1826 kitchen, plus tea and the freedom to explore the rest of the site. Starting today, a new exhibit at the Art Gallery of Ontario features the evolution of 20th-century Inuit art. Inuit Modern: the Samuel & Esther Sarick Collection showcases more than 175 works, including pieces by David Ruben Piqtoukun, Kenojuak Ashevak, Karoo Ashevak, and Lucy Tasseor. In support of Raising the Roof’s Youthworks initiative, the All-Star Comedy Cabaret is just one aspect of this weekend’s April Fool’s Weekend of Comedy festival. Taking place at 7:30 p.m. at The Second City, the fundraiser is hosted by Steve Patterson of CBC’s The Debaters and features comedians like CBC’s Pete Zedlacher (Just For Laughs, The Hour), Almost Heroes’ Ryan Bellevill, CityTV’s Jonny Harris, David Merry, Evan Carter and Shaun Majumder. Come rain or shine, Toronto has a bustling weekend ahead with entertainment for everyone! World-famous pop tunesmith Sting has entered the stage of his career where reinterpreting old hits seems enough to satisfy his creative spirit. And so he arrives this evening at the Molson Canadian Amphitheatre with a coterie of classical musicians: The Royal Philharmonic Concert Orchestra accompanies the former Police man in a unique performance of his most memorable songs, from “Roxanne” to “Fields of Gold” and much more. Whet your appetite for Caribbean culture as part of the ongoing Scotiabank Caribana Festival. The big parade may be a few weeks away, but you can get in the mood at the Royal Ontario Museum, which showcases more than 100 works by African-Canadian artists in its “From the Soul” exhibition. Get ready to (affordably!) strut down the streets of Toronto. Frugal Fashion Week offers an evening of food and apparel at the Bata Shoe Museum, including an exhibition of celebrity- and designer-created shoes, a silent auction and more. Get to know your prairies as Love, Saskatchewan kicks off at Harbourfront Centre. This weekend-long event features an exhibition on cowboy culture, author readings and performances by such bands as Wide Mouth Mason and Little Miss Higgins. Celebrate women in music with the return of Lilith Fair. The Sarah McLachlan–founded festival was popular in the late ’90s, and has been revived for 2010 with performers including Mary J. Blige, Chantal Kreviazuk and, of course, McLachlan herself. Take a close friend or loved one to a performance of Love, Loss and What I Wore. The production features a star-studded cast of women who relate dynamic, often hilarious, and always poignant stories from the popular book of the same name. Steer towards the Young Centre for the Performing Arts to check out the venue’s Saturday Night Cabaret Series. Tonight, acclaimed vocalist Heather Bambrick will have you tapping your toes to infectious jazz rhythms, and on your feet applauding by the end of the evening. Prepare your best Elizabethan laugh for Canopy Theatre’s production of Twelfth Night, one of Shakespeare’s most affecting romantic comedies. Fall in and out of love with the timeless characters as they’re brought to life under the stars at the University of Toronto’s Philosopher’s Walk. A visit to charming Black Creek Pioneer Village is a journey back to the 19th century. The experience is even more immersive thanks to the venue’s new Bolton Shop photography studio. Here, you can put away your digital SLR and discover the fascinating techniques used to capture and develop images more than a century ago. “Who let the dogs out?” indeed! Prepare to have your heart melt at Ontario Place—the Purina PropPlan Dog Show is in full swing with canines of all shapes and sizes strutting their stuff. Finish your weekend with some funny—a night of stand-up comedy—as emerging troupe NBAcomics presents its somewhat strangely named Summer Fest 97’ at Toronto’s renowned giggle garage The Second City.